Private Estate "Hadzivska hyzha" is located in the Pylypets village, 2.5 km from the road and the village center. 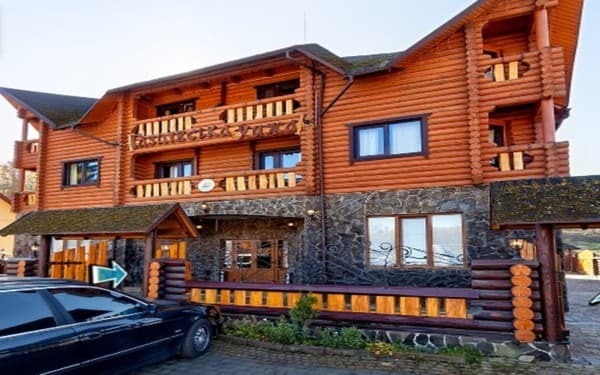 Hotel " Hadzivska hyzha " consists of three buildings, two of which have two-, three-, four-, and six-bedded room. 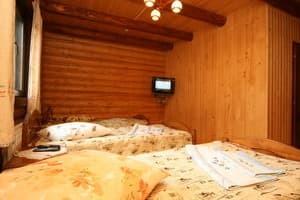 Each room is equipped with comfortable beds, a TV, a private bathroom and hairdryer. 4 double rooms also have a balcony. Independent heating, hot and cold water around the clock. Cleaning and linen change - on demand. 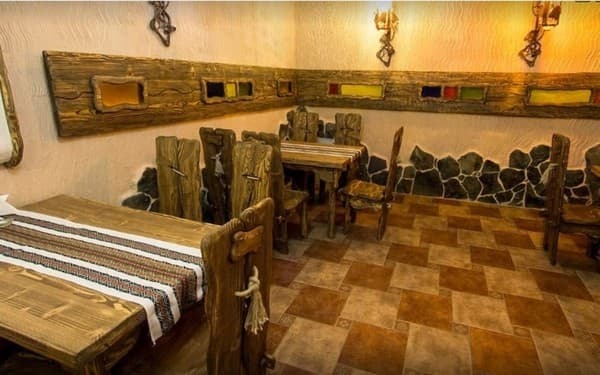 Hotel has a restaurant that serves Carpathian cuisine. 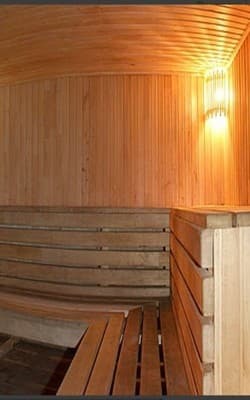 It offers guests Russian bath for 10-12 people with indoor swimming pool and a relaxation room. 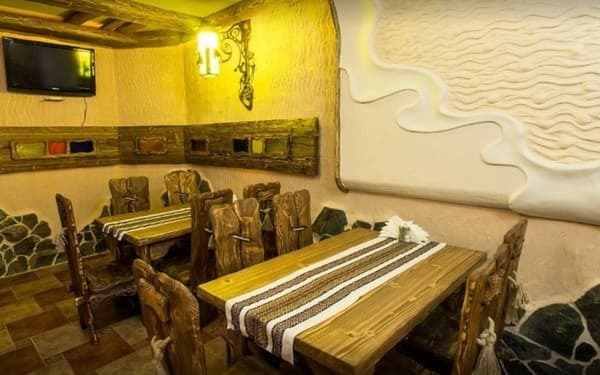 The organization of excursions to Mukachevo castle "Palanok", Beregovo thermal springs, Synevir Lake, "Old Village" (Kolochava).Transfer service and free parking are available. Distance to the lifts - 2.5 km. Prices may have changed, please check the information. Description of the room: Cozy 2-bed room. The room has a double bed, a wardrobe. 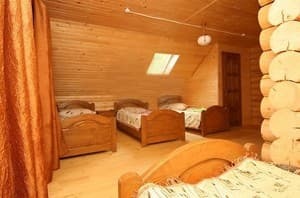 Description of the room: Cozy room with 3 single beds, wardrobe. 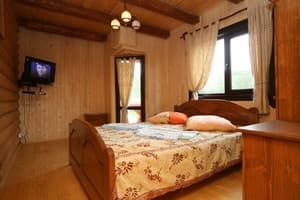 Description of the room: . Accommodation of children and extra beds are available on request. 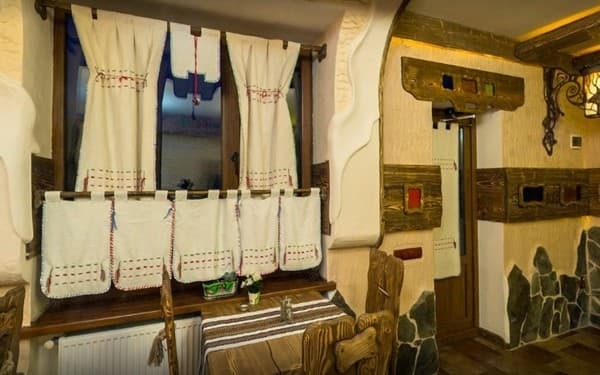 On the 1st floor of the hotel there is a restaurant serving Transcarpathian dishes. 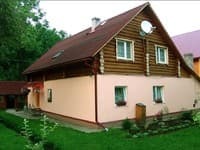 The estate is located in the Pylypets village, 2.5 km from the highway and the center of the village, at an altitude of 720 m above sea level, 2.5 km to the lifts. By train (Uzhhorod direction) to the station “Volovets”, then by bus or shuttle service to the hotel. By car - the road “Kyiv - Lviv – Chop” (E-50 / M-06), outside the Nizhnie Vorota village turn Mizhhiria village. In Pylypets village turn at the sign "Shipot" and go 2.5 km, mini-hotel is on the left side of the road.